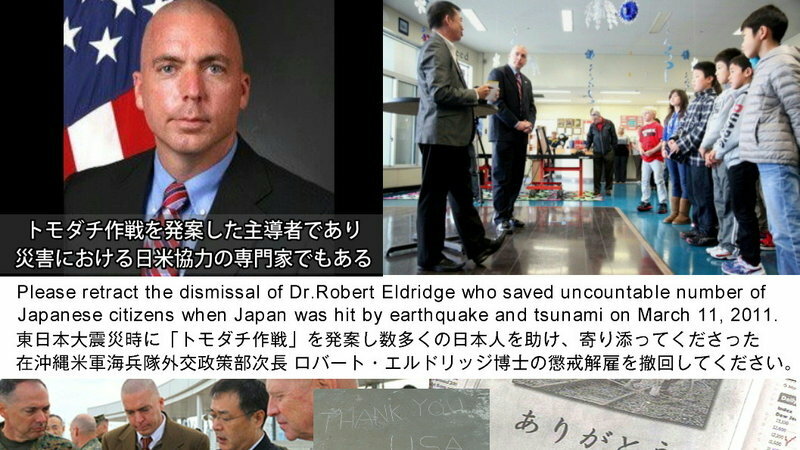 Dr. Eldridge was the original proposer of utilizing U.S. forces in a large-scale natural disaster in Japan, which was first carried out and called the “Tomodachi Operation” after the Tohoku Earthquake four years ago. Also, his fluent language skill helped greatly to better communication between Japanese defense forces and U.S. servicemen and servicewomen when they reconstructed the Sendai Airport shortly after the disaster. He has been promoting better relationships between Japan and the U.S. through his line of duty and many other occasions. Thus, he is highly respected by many Japanese. 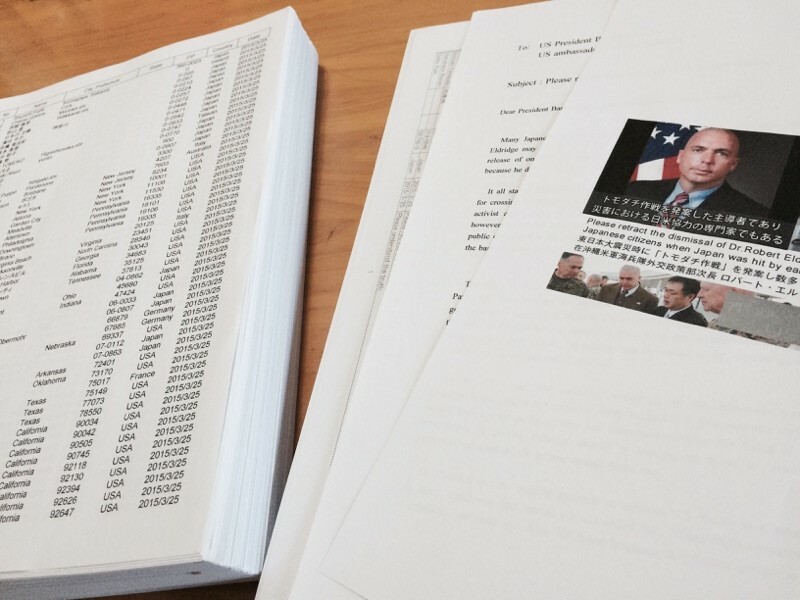 His dismissal under the current critical circumstances in Okinawa is not only a great loss but also detrimental to the relationship between the two nations. His dismissal is what those anti-U.S. base activists want and doesn’t serve anything but their anti-U.S. purpose. We would sincerely appreciate it if you would reconsider his dismissal. We, Japanese, need him to have better understanding of the two nations, which is the utmost necessity for the security of the Asian Region.